Subscribe to our newsletter and receive our FREE Austin Therapist Market Summary Report. This report includes therapists by zip code data, average household income data, and other useful marketing data for any Austin Therapist. 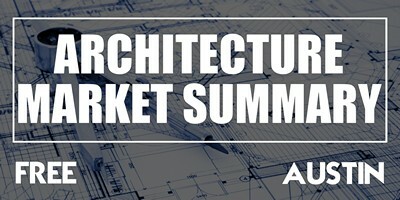 Subscribe to our newsletter and receive our FREE Austin Architecture Market Summary Report. This report includes demographics by zip code data, average household income data, and other useful marketing data for any Austin Architect. 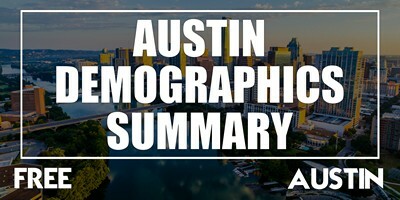 Subscribe to our newsletter and receive our FREE Austin Demographics Market Summary Report. This report includes demographics by zip code data, average household income data, and other useful marketing data for any Austin Business Owners. Subscribe to our newsletter and receive our FREE Austin Chiropractor Market Summary Report. This report includes demographics by zip code data, average household income data, and other useful marketing data for any Austin Chiropractors. Subscribe to our newsletter and receive our FREE Austin Construction Market Summary Report. This report includes demographics by zip code data, average household income data, and other useful marketing data for any Austin Construction Managers. Subscribe to our newsletter and receive our FREE Austin Dental Market Summary Report. This report includes demographics by zip code data, average household income data, and other useful marketing data for any Dental Business Owners. Subscribe to our newsletter and receive our FREE Austin Financial Advisor Market Summary Report. This report includes demographics by zip code data, average household income data, and other useful marketing data for any Financial Advisor Business Owners. Subscribe to our newsletter and receive our FREE Austin Lawyer Industry Summary Report. This report includes demographics by zip code data, average household income data, and other useful marketing data for any Law Firm Owners. Subscribe to our newsletter and receive our FREE Austin General Practitioner Summary Report. This report includes demographics by zip code data, average household income data, and other useful marketing data for any General Practitioner Offices.